Stack up the fun with these quick and easy Caramel Apple Stackers. 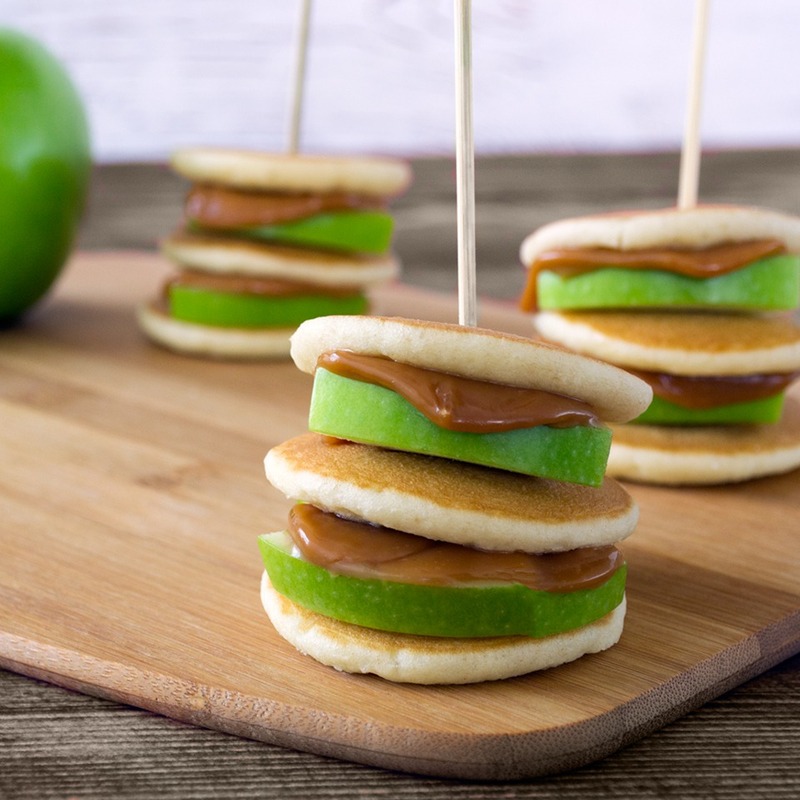 Our Mini Pancakes complement the sweetness of caramel and the crispness of green apples so well you'll wonder why you didn't try this combination sooner! Melt butter in a saucepan (if you opt to make your own caramel) over medium low heat. If using store bought caramel, just heat up according to package instructions until it’s nice and warm. Use a whisk to stir the sugar, corn syrup and cream together and let it sit over medium heat for about 45 minutes, or until it reaches 240° F.
Cut green apples into small, thin slices and heat pancakes according to package instructions. Once caramel has cooled a bit, start assembling the stackers! Layer one Mini Pancake, one slice of apple, and a dollop of caramel on top of one another. Repeat with a second layer and top with another Mini Pancake, then skewer the stack and enjoy!